Working for yourself can be daunting especially if you were previously a PAYE employee However with the support of your BSW accountant, the prospect can be made easier especially if we help you from the beginning and help you set up basic records required to form annual accounts. · Keep on top of your records on as regular basis – don’t ;eave it to the last minute! If you work for yourself BSW Accountancy Services can prepare your accounts and explain how the figures are arrived at and what they mean! 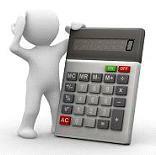 If you want we can complete your book-keeping, complete your VAT returns and handle your payroll. We will make recommendations where necessary that will be tax efficient and suggest those that will enable the business to flourish and prosper. We will complete your self-assessment returns on time and calculate your tax liability for you and provide support and advice.